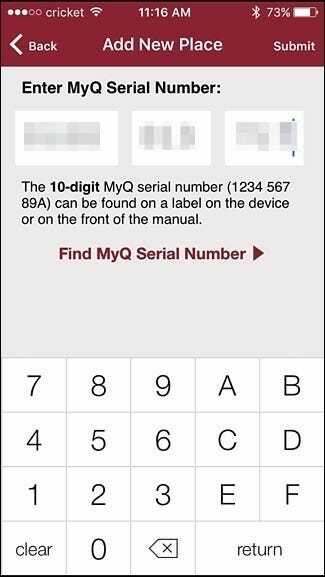 If you have a newer garage door opener from Chamberlain (or its professional brand LiftMaster), it’s likely that it comes with MyQ. 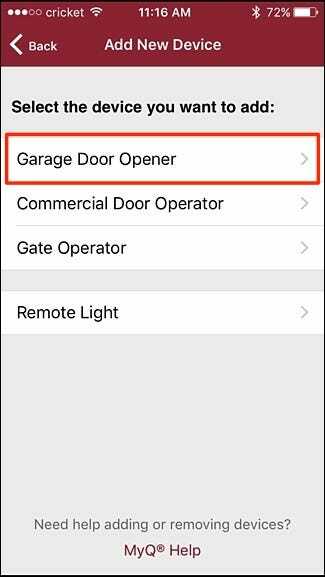 Here’s how to set it up so that you can open and close your garage door remotely using your smartphone. MyQ is the name of Chamberlain’s wireless technology that allows homeowners to operate their garage door using their smartphones. It’s very similar to Garageio, GoControl, and others, but the technology is built right into Chamberlain’s newer garage door openers, meaning that there’s no need to spend more money on an external controller. However, some MyQ garage door openers don’t have Wi-Fi built in, while others do. If yours fits in the former category, you’ll need a MyQ Internet Gateway. It should come with your opener when you buy it, but if not, it’s around $50. It simply acts as a middleman between the opener and your router, while MyQ openers with Wi-Fi built in will communicate with your router directly. If you don’t have a Chamberlain garage door opener, but want to have the ability to control your garage door remotely, you can buy a MyQ kit that will work with most third-party garage door openers. However, your garage door must have safety sensors and the correct programming buttons on the opener unit. This tutorial will go over how to set up a Chamberlain garage door opener that already has MyQ built in but no Wi-Fi, which means we’ll be setting up the MyQ Internet Gateway as well. The MyQ Internet Gateway will need to connect to your router via ethernet, so make sure that there’s a spare ethernet port on your router that you can use. It will also need to be plugged into power, so make sure that you also have an open outlet nearby that you can plug the gateway into. Before you go to plug it in and shove it away behind your desk, be sure to jot down the serial number on the back of the unit, since you’ll need it later during the in-app setup process. 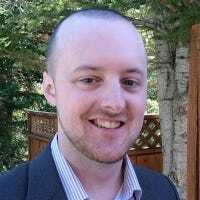 To connect the gateway, simply plug it into power and then plug the included ethernet cable into the gateway and the other end into a spare ethernet port on your router (any of the ports labeled 1-4 will work). The green and blue LED lights on the gateway will blink for a few moments and then the green LED will stay solid when it connects to the internet. The first thing you’ll need to do before going any further is creating a MyQ account on Chamberlain’s website. Start by clicking on “Sign Up” in the top-right corner of the screen. Enter in details like your name, email address, country, and more. Agree to the terms and then hit “Next”. Next, you’ll need to confirm your email address, so check your inbox and click on the activation link inside of the email. After clicking on the link in the email, you’ll be taken back to the website where you can log in to your newly-created account. From there, you’re done with the web interface, and you’re ready to set up your MyQ garage door opener from the MyQ app. 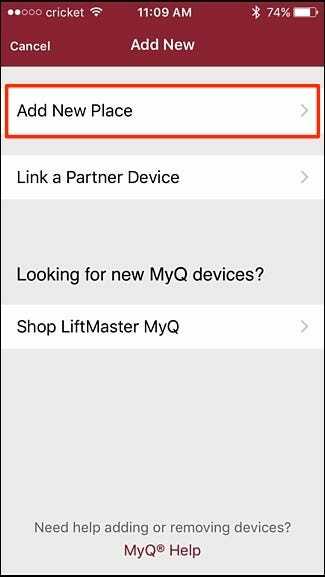 Next, download the MyQ app (available for iOS and Android), or—if you have a LIftMaster garage door opener—download the separate LiftMaster MyQ app (also for iOS and Android). 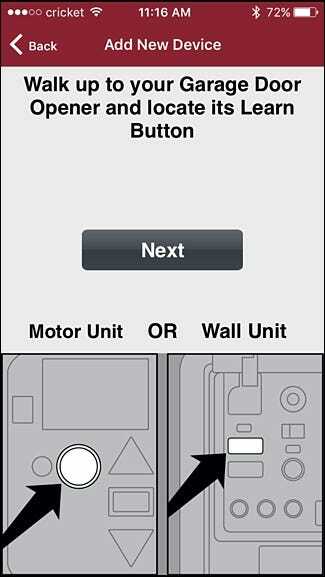 We’re using the LiftMaster app in this tutorial, but both should follow similar instructions. 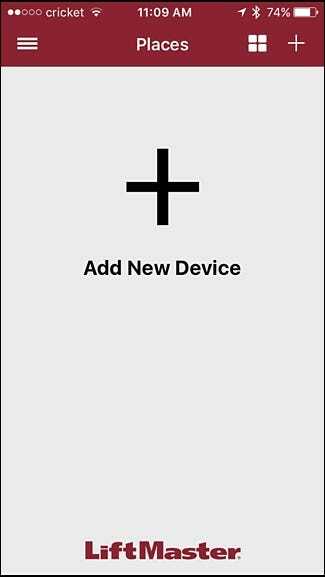 Once you have the app downloaded and you’re logged in, start by tapping on the big plus icon on the screen to add a device. Next, tap on “Add New Place”. Enter in the serial number of your MyQ Internet Gateway that you wrote down from the first step, and then hit “Submit” the top-right corner of the screen. On the next screen, enter in a name for your house. Something simple like “Home” will do just fine, but feel free to be as creative as you want. Hit “Save” in the top-right corner when you’re done. Select the device that you’re setting up. In this case, you’ll want to choose “Garage Door Opener”. 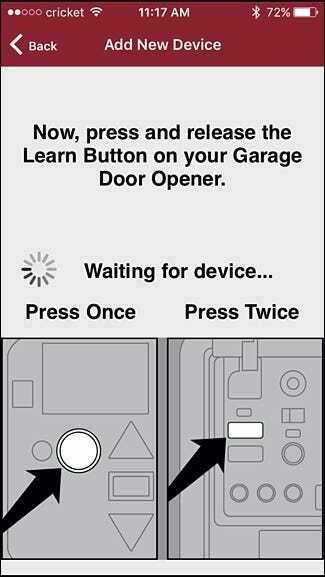 Next, go up to your garage door opener unit and locate the learn button. It will likely be a yellow or purple button. Tap on “Next” in the app when you’ve located the button. After that, press and release the learn button. In a few seconds, the light on your opener should blink. If not, wait a little longer and press the learn button again until the light blinks. 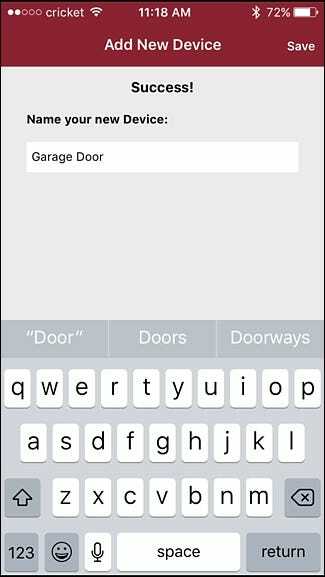 When successful, the app will automatically move onto the next screen where you’ll name your garage door opener. Hit “Save” in the top-right corner when you’re done. You’ll then be taken back to the main screen where your garage door will appear. 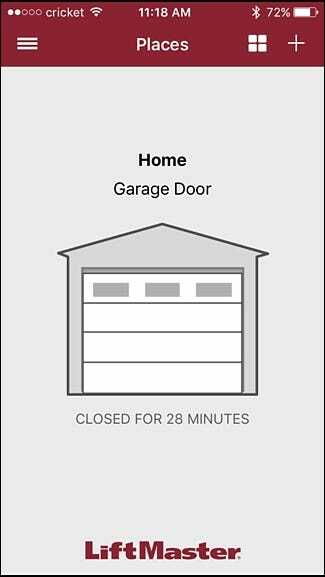 From there, you can tap on the garage door illustration to open your garage door remotely, as well as close it. Keep in mind that when you go to close your garage door remotely, your garage door opener will emit a beeping noise for about 10-15 seconds before closing the garage door. This is so that anyone in the way of the garage door has time to move, as well as generally warning anyone who’s in the garage that the garage door is closing.